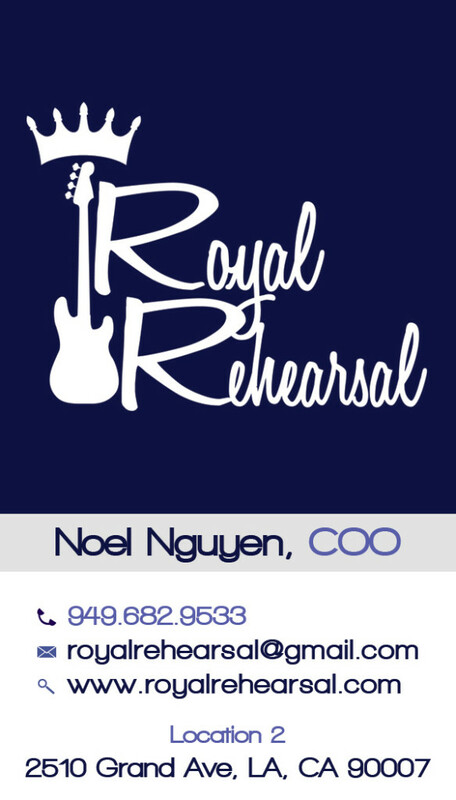 In the last two months, I have had the pleasure of working with Royal Rehearsal, a Los Angeles based company that rents rehearsal space. 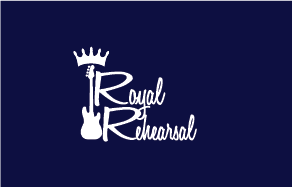 Royal Rehearsal had a pretty cool logo to begin with, so when working with them, it was about maintaining the spirit of the original design while adding a modern aesthetic. I still used the same font and the same icon (guitar with the crown). Instead of having the text somewhat revolve around the icon, I moved the text to be to its side, making it easier to read while maintaining the integrity of the original design. The major concern with designing the business card was that my clients wanted one business card with both their names, their numbers, and both locations. My solution was to create a two-sided business card that had one name, number, and location on a each side. In sticking with the dark and cool colors, I decided to use a lavender to highlight specific information such as the phone number, title, locations, and some icons. 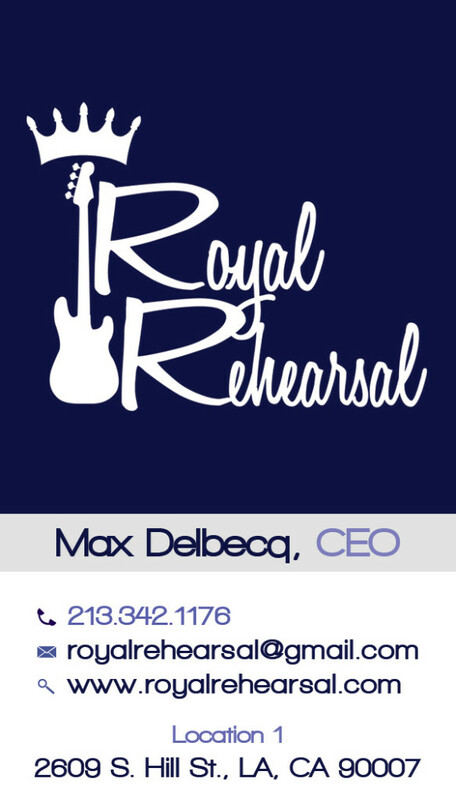 If you’re ever in need of rehearsal space, don’t hesitate to e-mail Royal Rehearsal. This week, I’m in Westport teaching Junior High and High School students about Social Media and Web Design. In teaching a Social Media class, I’ve prepared a Google Presentation. This link is a more professional version with some images removed about cyber bullying and from my own personal life. In presenting to students, my main goal is to educate them on privacy, on their online appearance in what they post (text / image / video), and provide some knowledge on how different social media networks can be used in different ways. 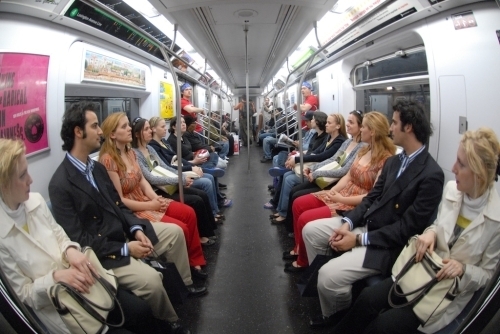 This is an improv everywhere image where they had identically dressed identical twins sit on opposite sides of a train. To me, this image best shows that online, there is no difference between a private and professional identity. What you show online is public even if you don’t intend it to be. It was fun to hear them disagree with me on what the 3 big social media networks are. It makes sense that they wouldn’t be using Linkedin yet, but hearing that Instagram or Pinterest is more popular than Twitter is an interesting trend for younger generations. Check out the presentation for more information, and feel free to e-mail me if you have questions. In celebration of the 4th of July, here’s a special cube. Last week, I completed work on the Spokane Valley Partners website. They wanted a redesign of their entire site, a new hosting service, and e-mail set up. When looking at their old website, it was functional and provided information. What they wanted was something that was more modern and would appeal to both clients (those in need of emergency services) and donors (whether volunteers or endowment). Modern: I wanted to make the website to be comparable to other non-profits, and in many cases, excel beyond them. Informative: They asked me to create a design that wouldn’t be too sales oriented, although they did want a quick way for donors to get in touch with them. To make the website look modern, I wanted it to be broken into a simple three part approach: header, body, footer. On other pages, the body includes a sidebar that provides quick information: upcoming events, the newest blog post, and a link to the FAQ. To make it approachable and informative, I thought of newspapers and how they had separators. With a clearly delineated header and footer, it would be easier to navigate the eyes of the donors and the clients to what they need to visually see: the navigational panel separated by borders, links highlighted in orange, and headers for pockets of information. 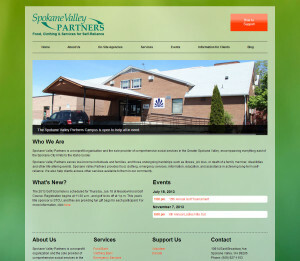 WordPress: Provide Spokane Valley Partners with the ability to add and edit their website. Events widget: For their various fundraisers as well as any volunteer events. Responsive Code: Their website changes to fit mobile devices as well as laptops and computers. Accordion: For the About and FAQ page, there is an accordion to make the information easier to read. Icons: I designed many of the icons on the services page. Having become a rotary member in the past year. 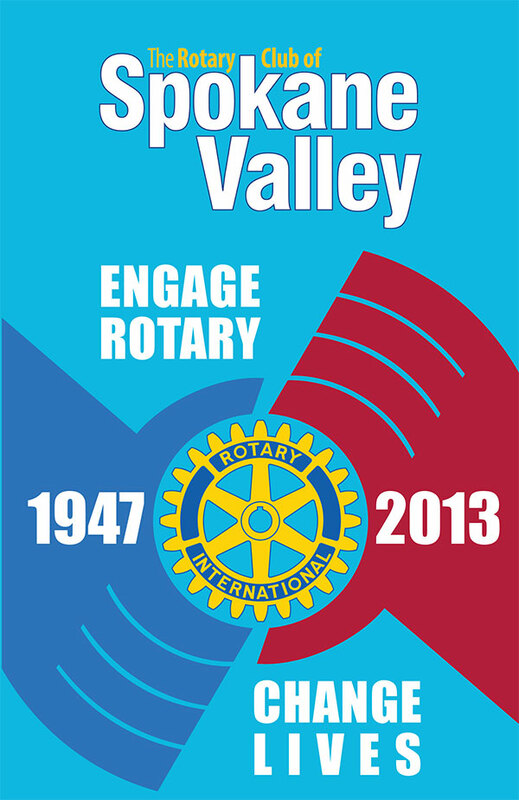 I had the pleasure of creating this year’s Spokane Valley Rotary Installation Banquet Program. 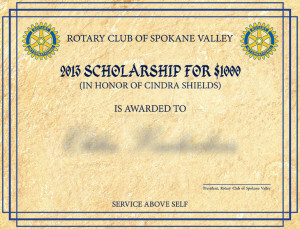 Not only was I able to participate in the fun banquet and other service events, but the Spokane Valley Rotary also awarded six $1000 scholarship certificates (dedicated to Cindra Shields) to students in Spokane Valley. I am absolutely thrilled to be able to make an impact on the community.